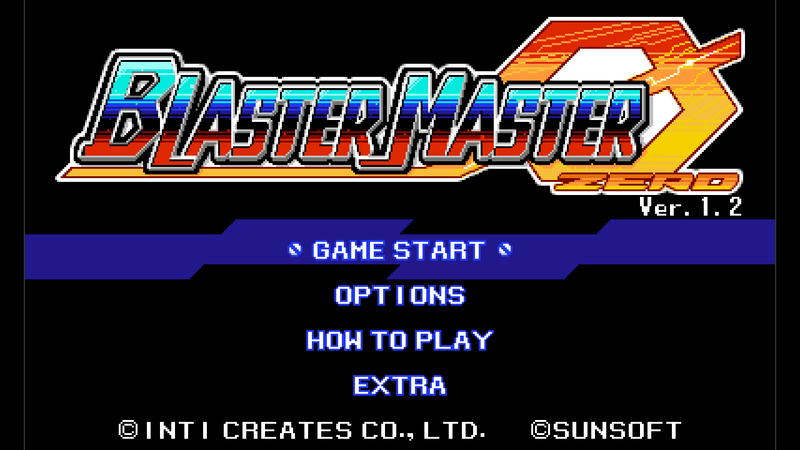 Blaster Master Zero Ver. 1.2 is here, and it comes with two brand new gameplay modes that have been added to the game free of charge! 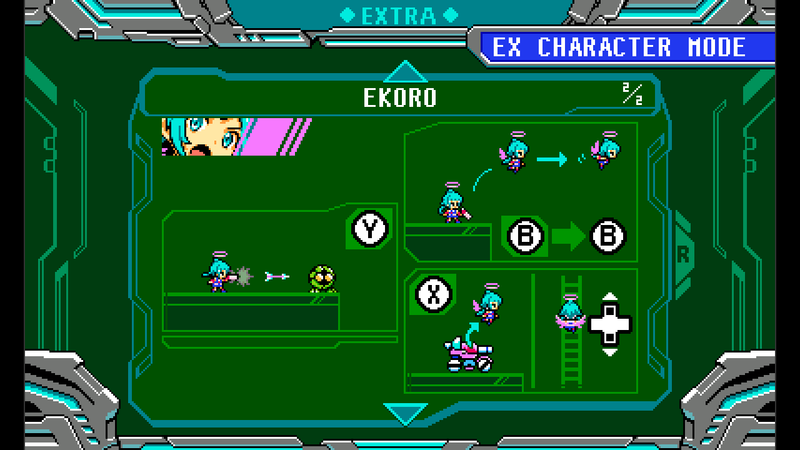 Enjoy the new super difficult Destroyer Mode and EX Character Mode, which allows you to play as a cast of DLC characters! 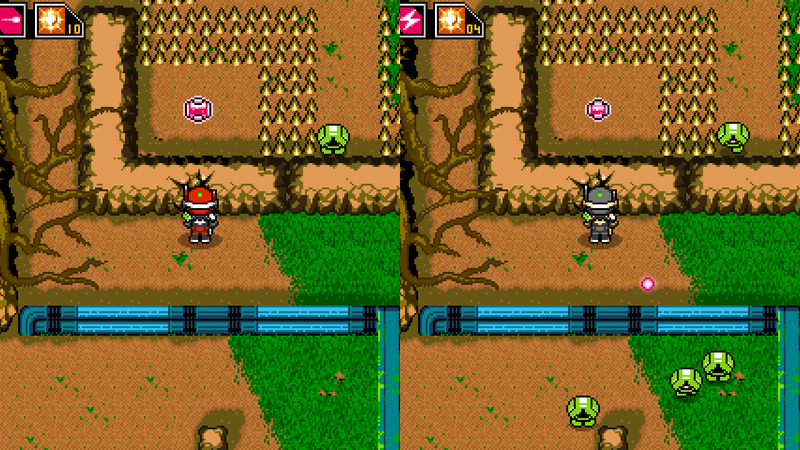 A demo version is also available, so first timers can now give the game a try before they buy! 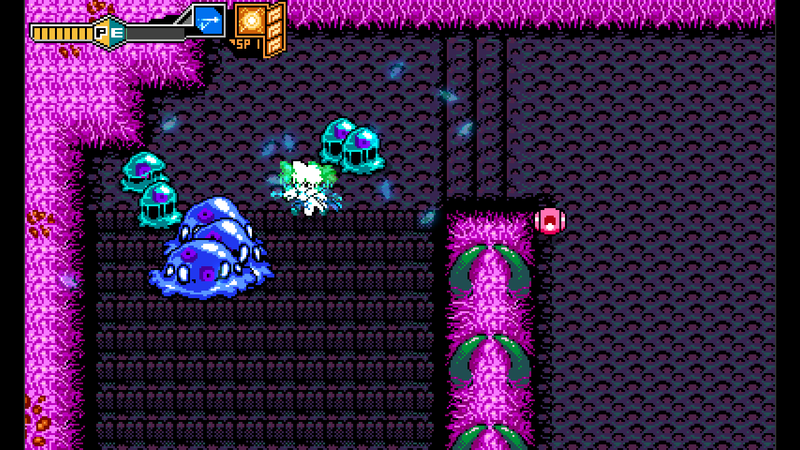 Without further ado, let’s take a closer look at what’s in store for Blaster Master Zero’s first major content update! 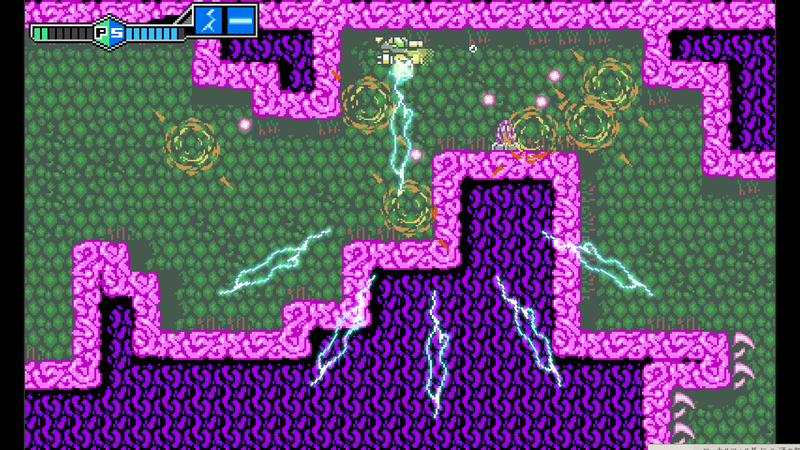 In Version 1.2, the all new Destroyer Mode, a super difficult “hard mode” that you can access after clearing the game, has been added! 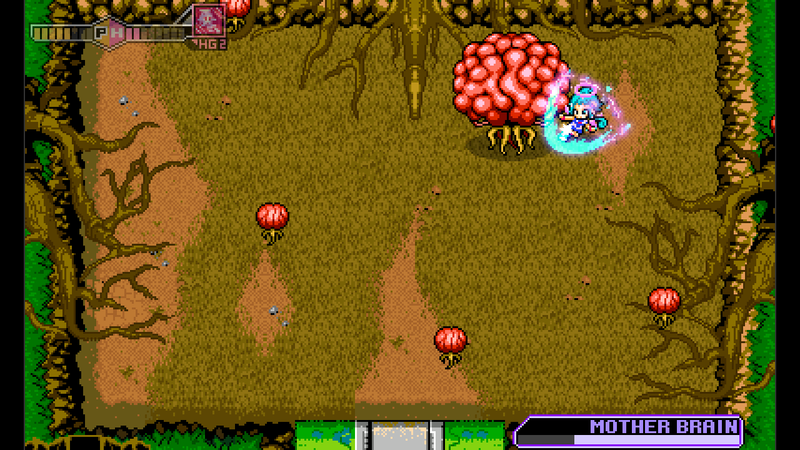 In this mode, it calls for you to make the right call at every turn and make use of your entire arsenal if you want to have a chance at defeating these powered up mutants. Destroyer Mode provides a whole new type of challenge for those who have completed the game once before, so be sure to give it a try! In Destroyer Mode, and Jason and SOPHIA III receive a little color makeover! Whoa, hang on a sec! 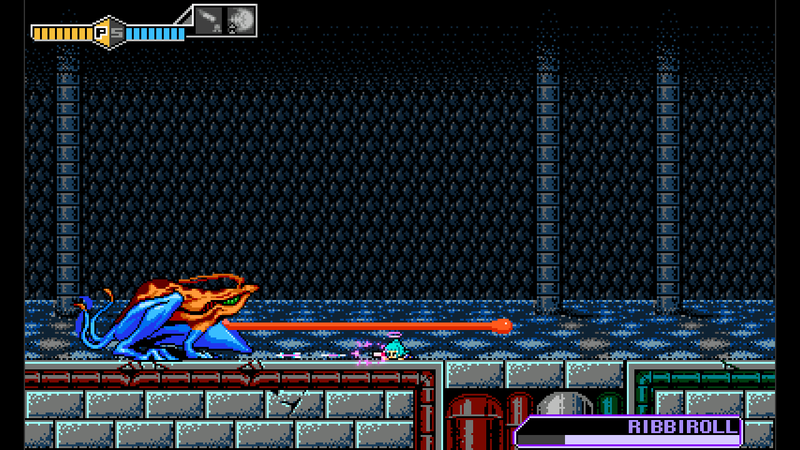 The strongest weapon in Normal Mode, Wave (Gun Level 8), doesn’t work against these guys! 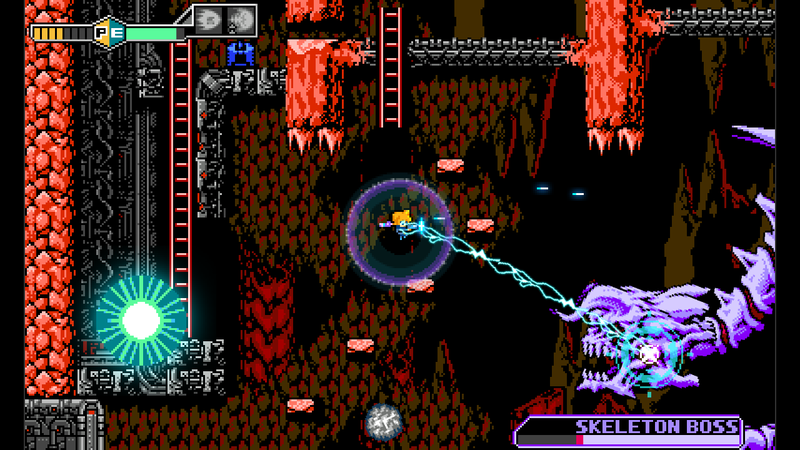 You have to choose the pertinent gun level for each enemy or else you won’t deal any damage. 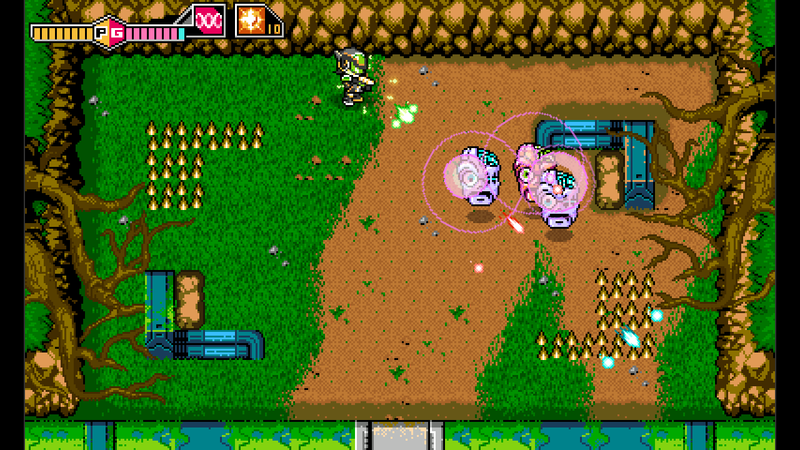 When an enemy is destroyed on side view maps, it unleashes bullets that fly in the player’s direction. 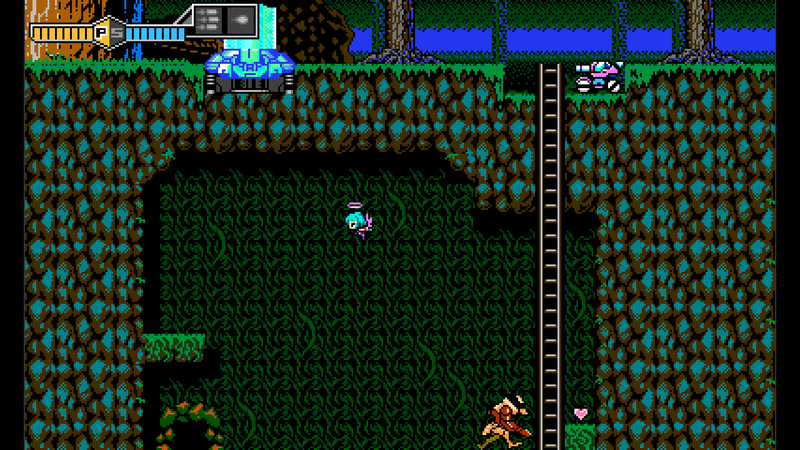 Careless attacks can prove to be quite costly! 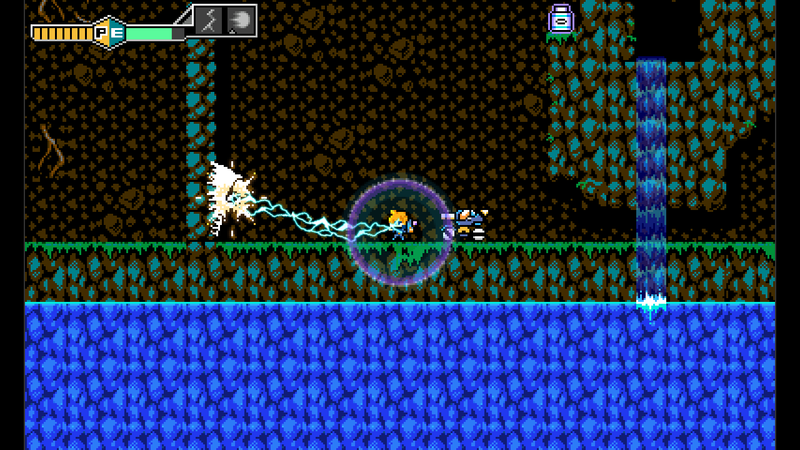 The Energy Guard item has absolutely no effect in Destroyer Mode. If you want to keep your Gun Level up, you’ll need to make sure you maneuver very carefully. Life Up items also have no effect. 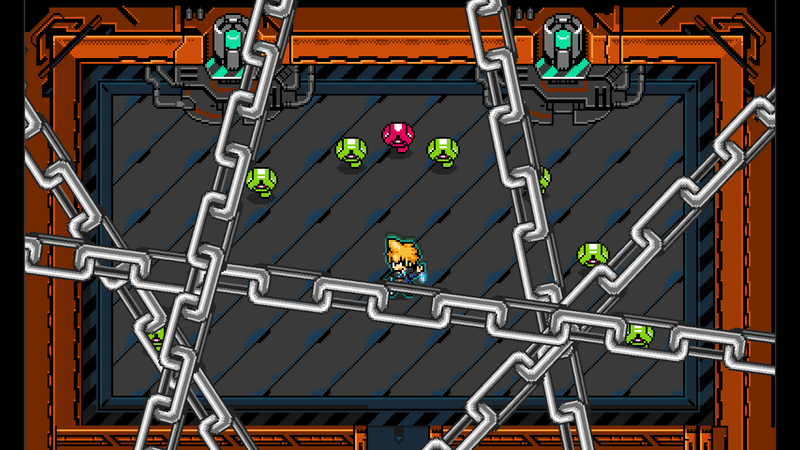 Get ready for even tougher boss fights! 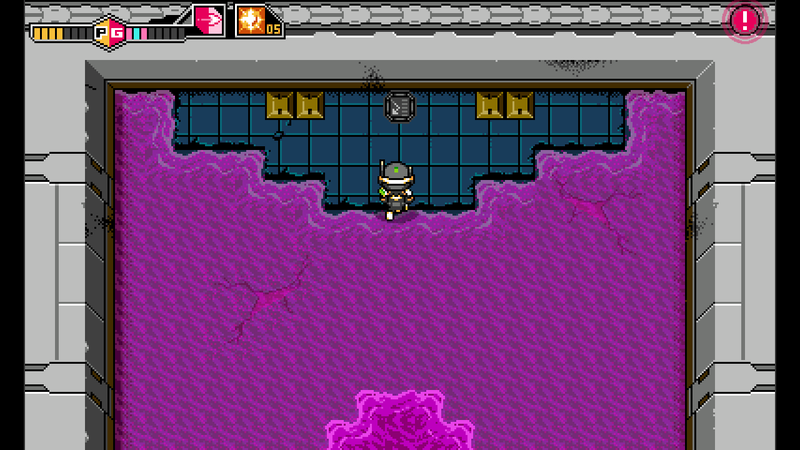 Types of items that are placed throughout each area and the items that you obtain from defeating mid-bosses have been changed up a bit. Version 1.2 also comes with EX Character Mode, which allows you to play through the entire game as one of many brand new DLC characters that will be available. These characters aren’t just skins, though! 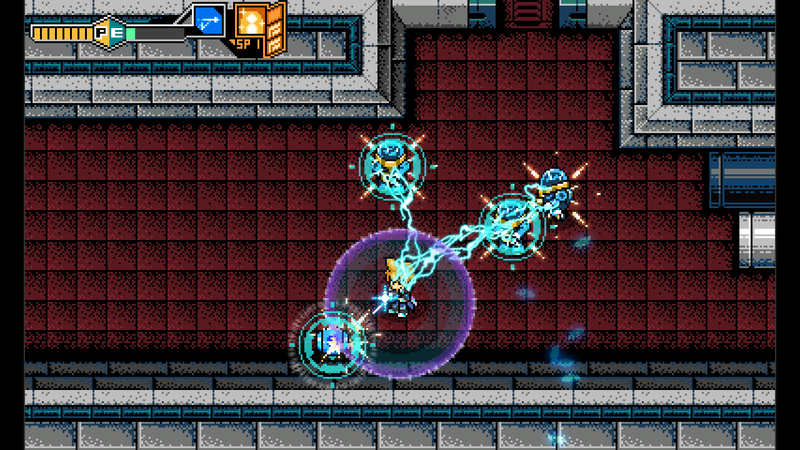 They have their own set of abilities and weapons that create a gameplay experience completely different from that of the main protagonist, Jason. Have a look at some of the characters that we currently have planned for EX Character Mode! Every time a new character gets released for EX Character Mode, you will be able to download that character for FREE for a two week period following the release of the character! It’s the perfect chance to experience the game in a whole new way with beloved characters from a wide range of IPs! *After their free download period has ended, characters will become paid DLC. 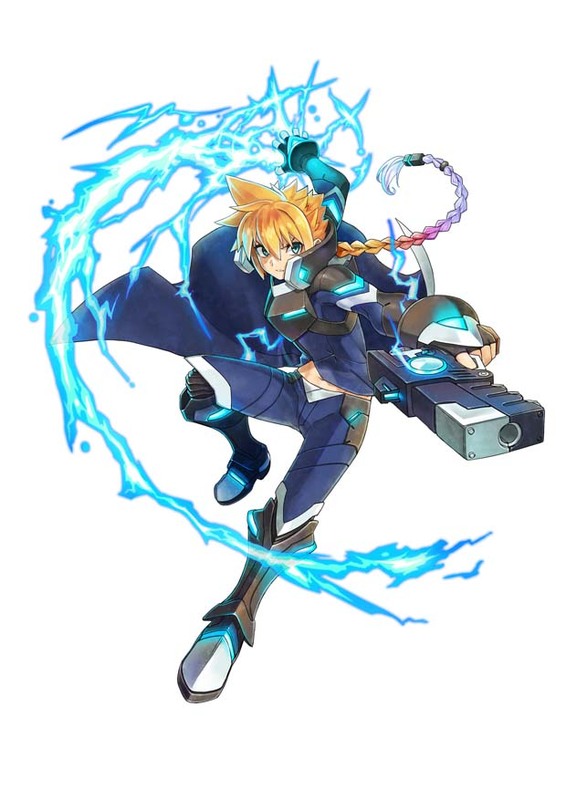 The main protagonist from the Azure Striker Gunvolt series strikes into the fray as a playable character! 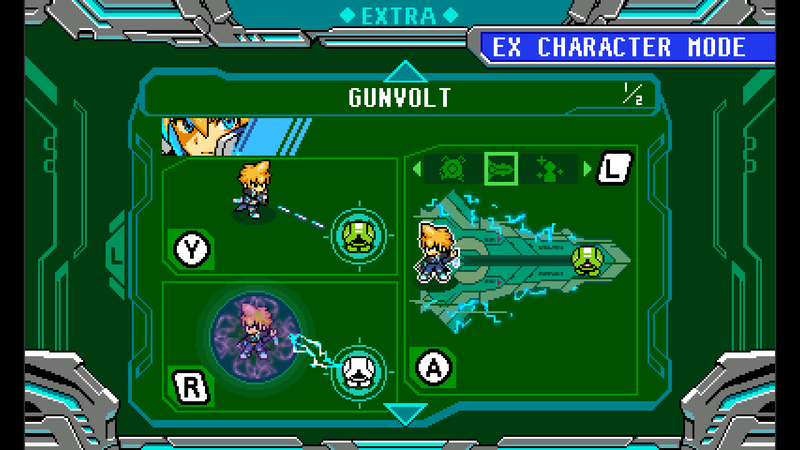 With Gunvolt’s septimal power of electricity, take control his “Flashfield” and “Prevasion” abilities and give those mutant baddies the shock of a lifetime! 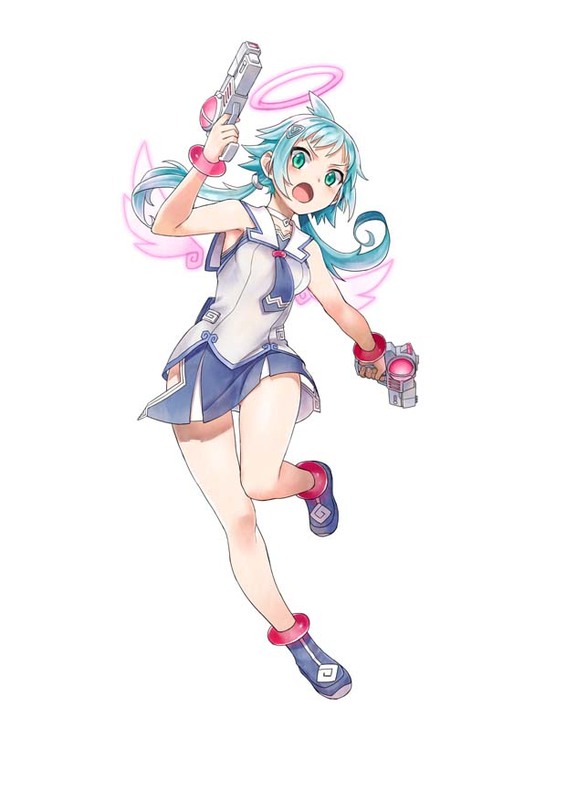 The “elite” angel you remember from Mighty Gunvolt and the Gal*Gun series returns as a playable character! 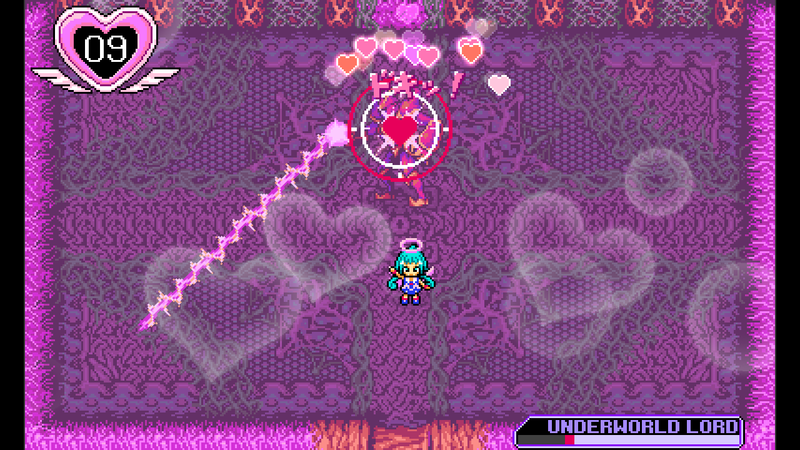 Take control of her chargeable, dual-wielding “Desert Angel” guns and other angelic weaponry and give those mutants a taste of your love! 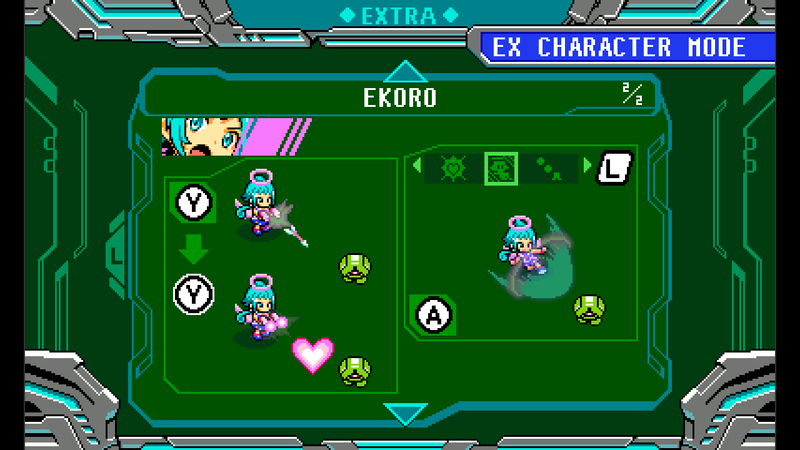 There are a lot more DLC characters on the way, and for each new character we introduce, you will be able to download them for free within the first two weeks of their release just like Gunvolt and Ekoro! 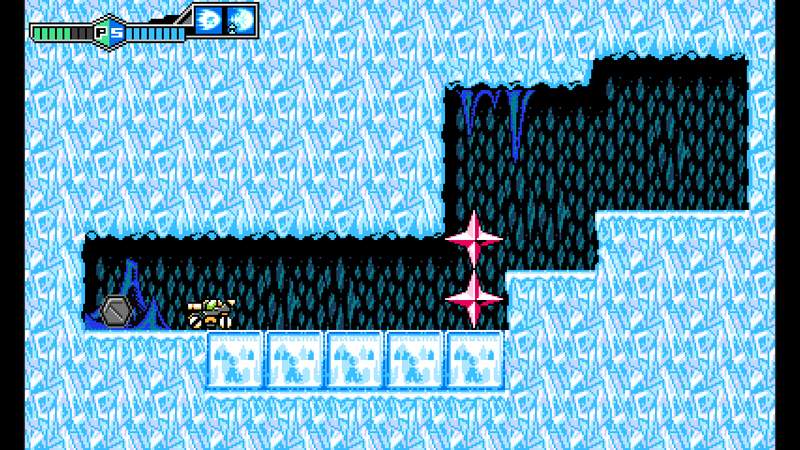 In the demo version of Blaster Master Zero, you will be able to choose between two stages: The Forest Area (Area 1) where your subterranean adventure begins and the Industrial Area (Area 3), a factory where the Central Gear boss reigns supreme and large shutters and conveyor belts block the way. 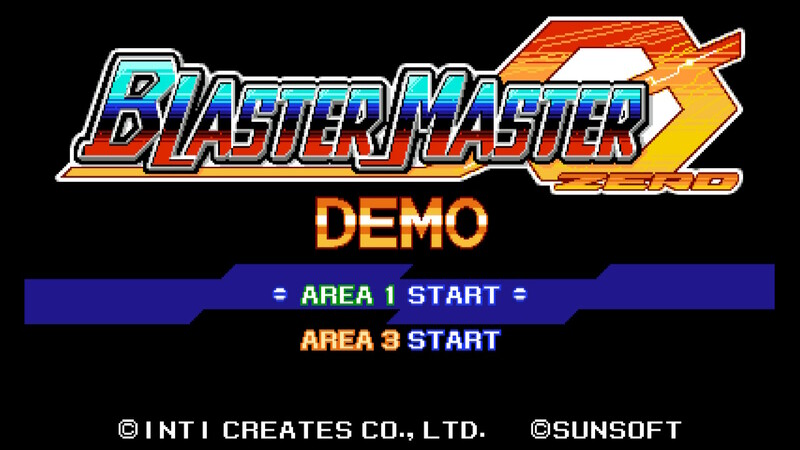 The demo version on Nintendo Switch also has local multiplayer available. The Ver. 1.2 update is now available for Switch owners worldwide, whereas the 3DS version will be available when the Nintendo eShop updates on May 4th. 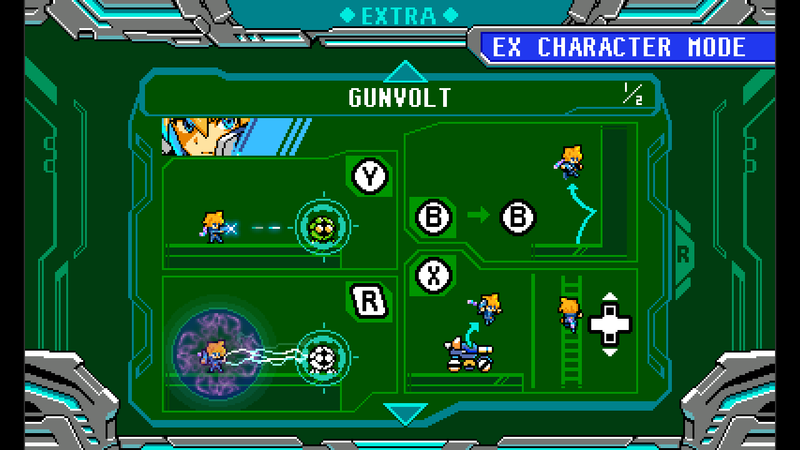 At that time, the demo version and Gunvolt DLC will also open up for download as well for both Switch and 3DS. 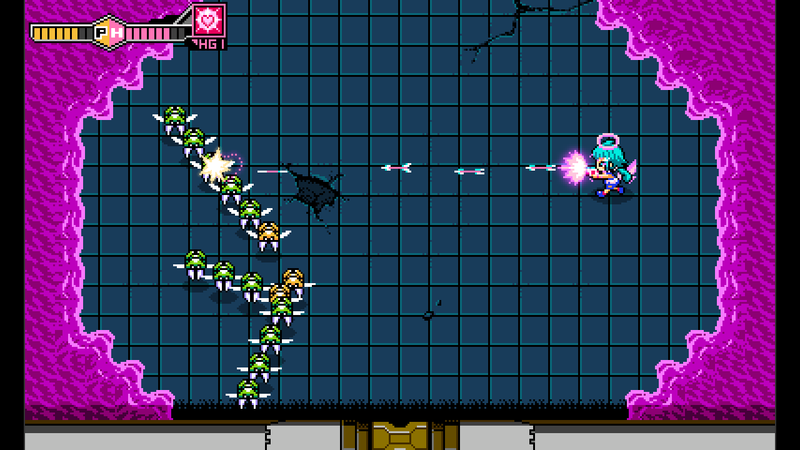 For a more in-depth at Blaster Master Zero Version 1.2, have a look at the official trailer!